Hastings United have signed two talented young players on loan from Gillingham, according to the football club’s website. Bradley Stevenson and Jack Tucker have joined promotion-seeking Hastings for the remainder of their Bostik League South East Division campaign. Both men have played for the club before and are set to go straight into the squad for the trip to Three Bridges tomorrow (Saturday). Attacking midfielder Stevenson enjoyed a loan spell at The Pilot Field two years ago and impressed in the agonising play-off semi-final defeat at Dorking Wanderers. The 20-year-old has since had loan spells at Cray Wanderers, Tonbridge Angels and, earlier this year, Margate. Stevenson has played for Gillingham’s first team six times in all competitions this season, starting twice and coming on as a substitute four times. He has also been an unused substitute on four occasions. Tucker played for Gillingham against Tottenham Hotspur under-23s in the Checkatrade Trophy during the autumn and was an unused substitute against Crawley Town in the same competition. 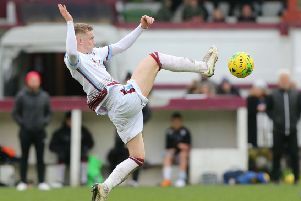 The 19-year-old defender made eight appearances for Hastings during a two-month loan spell at The Pilot Field in December and January. 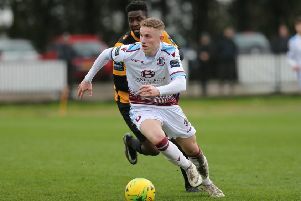 Hastings manager Chris Agutter told the club website: “Jack was an integral part of what was our most defensively solid and productive period of the season. He’s a terrific lad, who I’m sure will have a big future in the game. “Bradley is a player that I’ve tried to sign a number of times since becoming manager. I first saw him when playing under Darren Hare when originally on loan at HUFC and thought he was at times electric. He’s a real talent whose quality can only benefit us in our final push for promotion.